Metallica recently announced plans to release four complete shows from the band's 2014 "By Request" tour on vinyl. 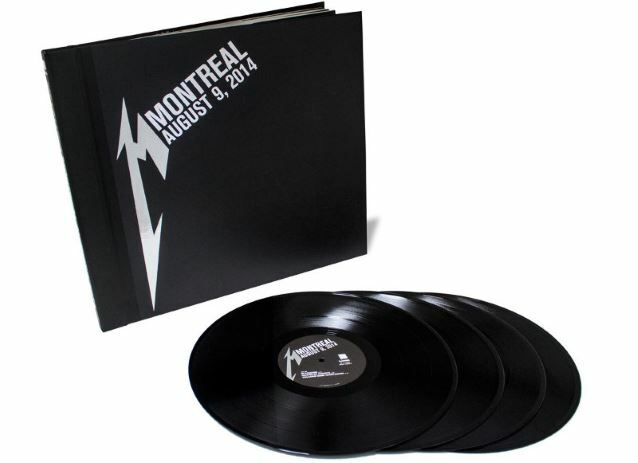 Metallica said: "With your help voting for your faves, we've pressed four shows from the 2014 'Metallica By Request' tour on 180-gram vinyl. These quadruple vinyl sets from Bogota, Helsinki, Istanbul and Montreal are limited to 500 copies of each show and you may pre-order the four-pack now at a reduced price or pick up a copy of the Montreal show. The three remaining titles will be available one each week in November starting on November 9th, four-packs will ship by the end of that month." For more details, visit Metallica.com.